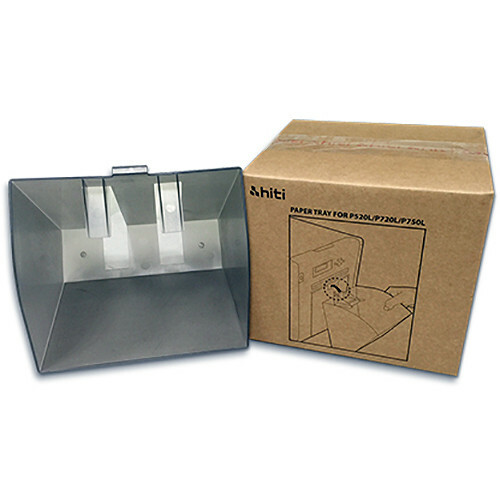 Make sure all your printed images are safe during longer jobs with this Paper Tray from HiTi. Designed for the P525L, P720L, and P750L printers, this output tray will collect and hold all your prints as they are finished. Box Dimensions (LxWxH) 7.65 x 7.05 x 6.75"
Paper Tray for P525L, P720L, and P750L is rated 4.8 out of 5 by 4. Rated 5 out of 5 by Micheal from Must have for the printer This is a must have to save photos falling on the floor.